Nigeria and Iran delivered the first draw of the World Cup on Monday as they ground out a scrappy 0-0 stalemate in their opening match in Group F.
The draw at the Arena da Baixada in the southern Brazilian city of Curitiba followed 12 mostly high scoring and attacking games. After a first half in which Nigeria failed to capitalize on its dominance, chances were few and far between in the second. 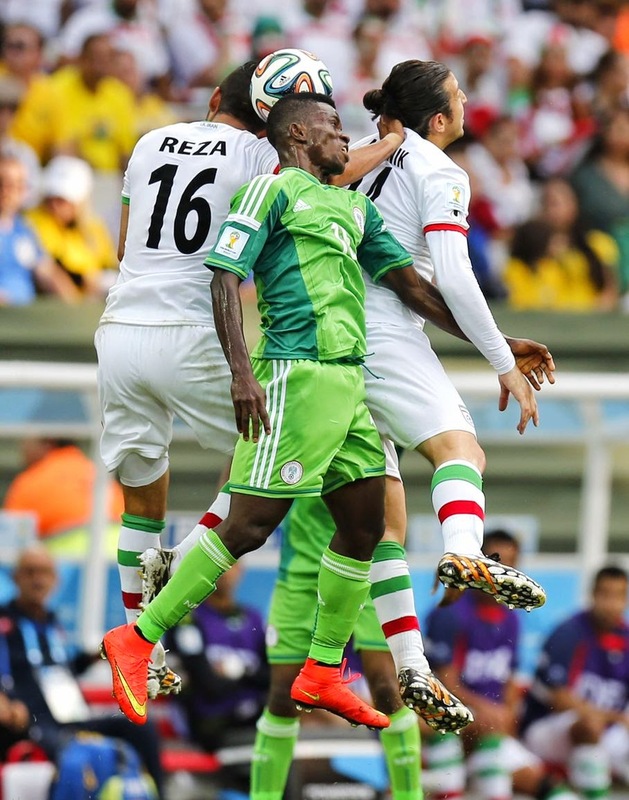 In the early passages of play, Nigeria had shown menace, with much of its attacking thrust coming down the left with Emmanuel Emenike and Victor Moses combining to cause problems for the defensively-minded Iran side. 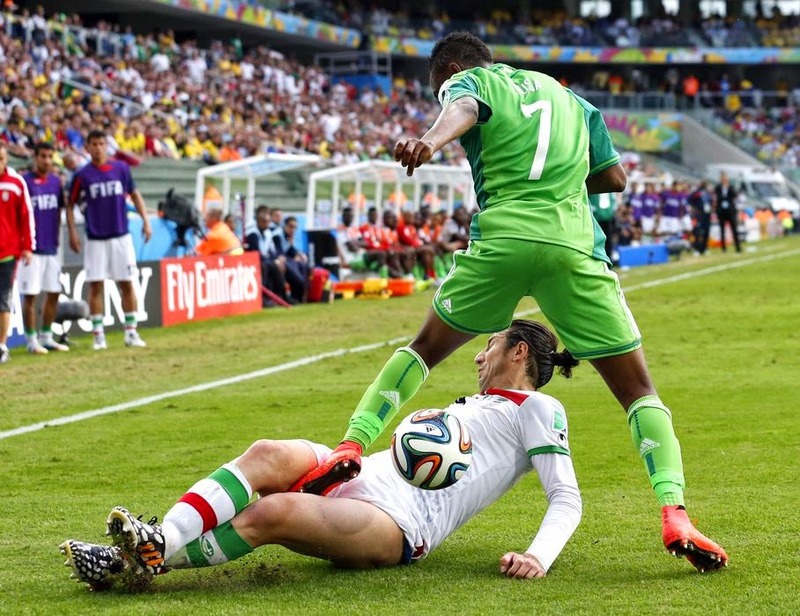 Nigeria came closest to scoring in the seventh minute when an Ahmed Musa goal was disallowed after John Obi Mikel was adjudged to have fouled Iran goalkeeper Alireza Haghighi at a corner. Iran grew more confident as the game progressed and came close to scoring in the 34th when a Reza Ghoochannejhad header required a sharp save from Nigeria goalkeeper Vincent Enyeama. In the second half, both sides were guilty of sloppy passages of play, to the growing annoyance of the mainly Brazilian crowd. Players from both sides snatched at chances, and neither goalkeeper was troubled despite some frantic late pressure in the final minutes. "They had 11 people behind the ball, which made it hard for us to create chances," Mikel said. "It's frustrating because they sat back." 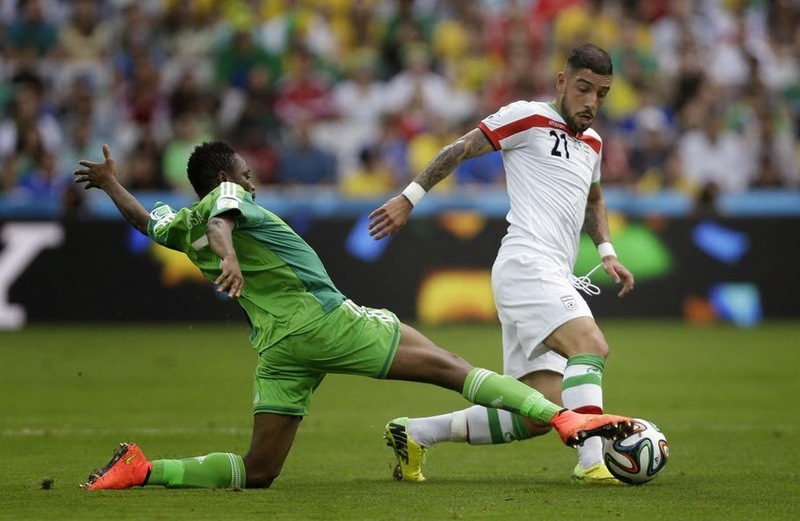 Nigeria coach Stephen Keshi said his team became anxious when it failed to score during a dominant opening 25 minutes. But he added: "Respect to Iran, they had their game plan to sit back and defend and they did well." Keshi, who played for Nigeria at the 1994 World Cup, is already anticipating a backlash after the draw. "Win or lose I'm criticized," said Keshi, whose side won last year's Africa Cup of Nations. "A draw now, I'll be criticized. It's part of the game. In my country, it's win at all costs and sometimes it doesn't go that way." The best chance either side has to progress in the tournament is to beat debutant Bosnia-Herzegovina, as Argentina is the firm favorite to top the group. Lionel Messi scored one of the tournament's best goals in Argentina's 2-1 victory over the Bosnians on Sunday. Iran coach Carlos Queiroz said the result was "fair" and that his players deserved "sympathy and respect" for performing on the biggest stage despite the impact of economic sanctions on the country - which made it difficult to arrange friendlies. "We're not here to perform the role of the happy loser," Queiroz said. "The fans need to know the conditions we have endured for three years to get here." Queiroz wouldn't talk about the team's next game against Argentina. "Now I'm so tired just let me enjoy this point we collected from Nigeria," he said. The draw means the winless World Cup runs of both teams continues, dating back to France 1998. For Iran, though, this was the first time it had not conceded a goal at the World Cup finals.